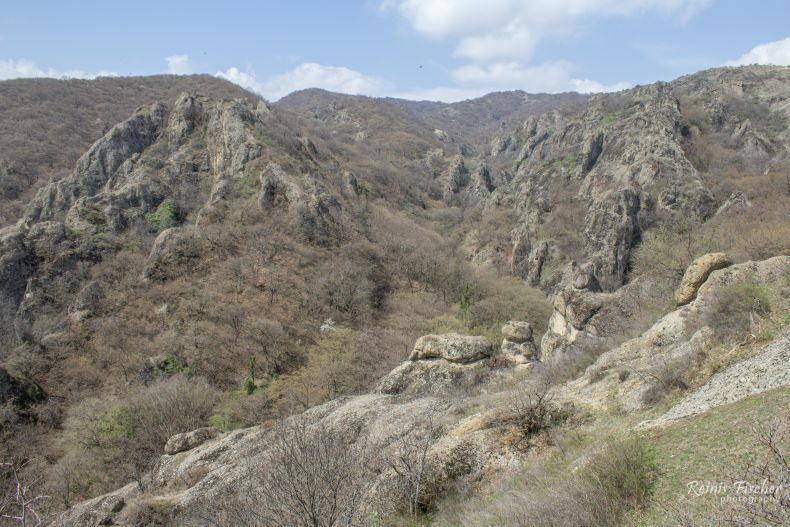 Birtvisi canyon is located in the Tetri-Tskaro district in Kvemo Kartli region about an hour drive from Tbilisi. Canyon is ideally suited for those loving hiking (see: Hiking In Birtvisi Canyon (Hidden Trails Of Georgia)) and outdoor activities. There are many smaller and larger gorges, rocks and of course amazing nature. Also, the Birtvisi fortress is located here (which I still haven't found after some 4 years of inactive searches). 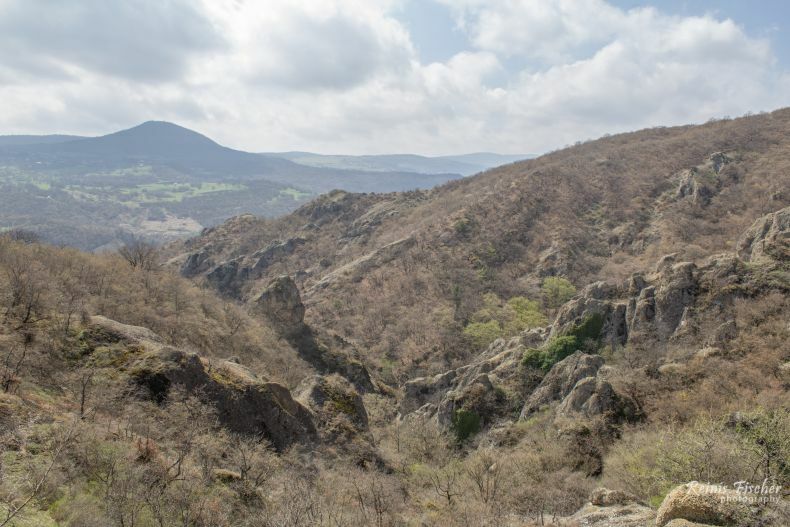 Birtvisi is essentially a natural rocky fortress of 1 km², secured by walls and towers, the most prominent of which – known as Sheupovari ("Obstinate") – tops the tallest rock in the area. Various accessory structures, an aqueduct included, have also survived. In written sources, Birtvisi is first mentioned as a possession of the Arab amir of Tiflis of which he was divested by the Georgian nobles Liparit, Duke of Kldekari and Ivane Abazasdze in 1038. In medieval Georgia, Birtvisi entertained a reputation of an impregnable stronghold whose master could control the entire strategic Algeti gorge. The Turco-Mongol amir Timur notably reduced the fortress during one of his invasions of Georgia in 1403. After the partition of the Kingdom of Georgia later in the 15th century, Birtvisi was within the borders of the Kingdom of Kartli and in possession of the princes Baratashvili.